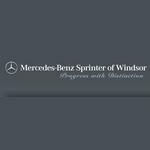 Sprinter of Windsor is a premium Mercedes-Benz car dealership in Windsor, Ontario. The Windsor Mercedes-Benz car dealership offers an extensive inventory of quality, stylish used and new Mercedes-Benz vehicles. Sprinter of Windsor is a member of the Rafih Auto Group. Products Carried: Sprinter of Windsor offers new and used Mercedes-Benz vehicles. Located in Windsor, Ontario, Sprinter of Windsor offers new and pre-owned Mercedes-Benz sedans and SUVs, fleet vans, and commercial vehicles. They also offer car service, parts, and financing solutions. Sprinter of Windsor is the premier Mercedes-Benz car dealership in Windsor.